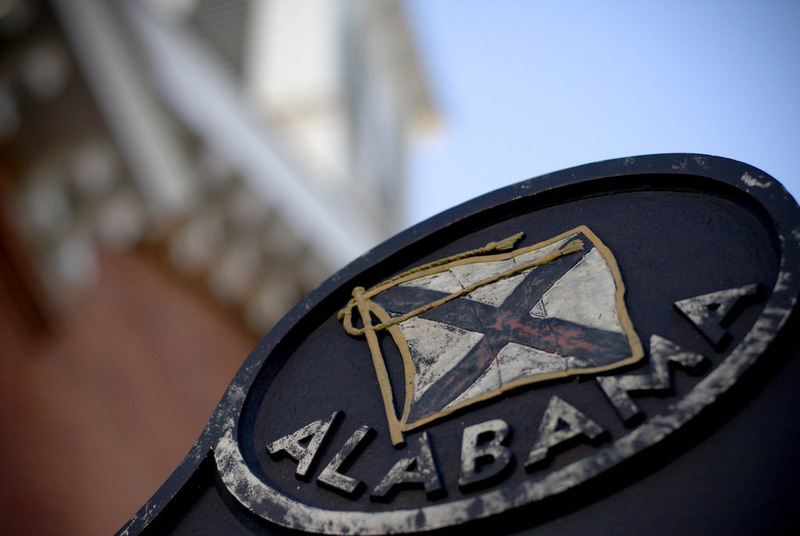 Alabama symbol on civil rights marker; Montgomery AL. Photo by Christa Lohman/Flickr (Noncommercial Use Permitted with Attribution/No Derivative Works). "What constitutes a state? . 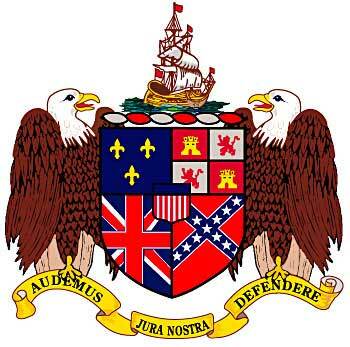 . .
Alabama coat of arms image by Robert Sears / courtesy of Alabama Department of Archives & History (used by permission).